Brazilians have a reputation for knowing a thing or two about throwing a good party. Maybe its because of Carnival, maybe it's because of its diverse mix of cultures, or maybe its just because they really do like a good old fashioned festa. The country's got a great climate, beautiful landscapes and an even more beautiful population, so it only makes sense that they like to celebrate. Brazil's music festival scene ranges from intimate charmers on the beach to extravagant urban behemoths. It wasn't easy, but someone had to do it. Here are the top 10 music festivals in Brazil. The most colourful instalment of the global festival series, Ultra Brasil is the ultimate electronic music blow out. 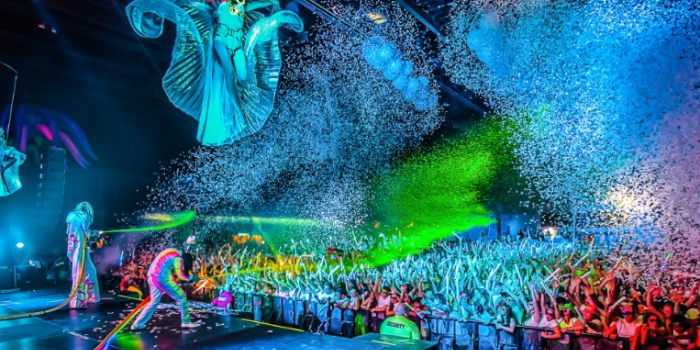 Some of the biggest DJs in the world ply their craft in front of tens of thousands of people ready to party. Every year the festival features a stunningly imposing main stage which appears to be made out of LED lights, video screens, fireworks and steel. The ultimate musical experience in South America, Rock in Rio is one of the largest festivals in the world. Presenting the biggest names in pop and rock, the festival should be on any music lover's bucket list. Back in Rio de Janeiro where it all started in 1985, expect nothing short of the most outrageous festival experience possible. The biggest dance music festival in the country, XXXPERIENCE Festival is an all out celebration of electronic music culture. An inclusive space offering the freedom to let loose and express yourself, the festival is a surrealistic social utopia set to massive beats and musical creativity. A week long showcase of alternative music, Festival Bananada has given a platform to rising national and international talent for almost two decades. Independent artists from a spectrum of musical genres and visual arts gather every year in Goiâna to put on a fresh festival championing artistry. Some festivals are just better thought out than others. Heading into the final year of a three year thematic arc, this year TribalTech is about escape, after rebirth in 2015 and evolution in 2016. What exactly this will entail is still a secret, but the Brazilian founded festival's modus operandi is always to present the freshest underground house and techno artists. Perhaps the most recognisable festival brand in the world, Lollapalooza has been making musical memories since it began in 1991. When you think of a classic outdoor festival with massive stages hosting big names from all genres, intimate side stages with rising talent, food areas and all the other trimmings, you're essentially thinking of Lollapalooza. The Dutch electronic music organisation spread its wings last year and set up shop in São Paulo. DGTL's patented industrial vibe made it across the ocean, as did its emphasis on sonically progressive artists. All DGTL events are about conveying social and environmental consciousness, while offering a chance to come together as a community to experience cutting edge electronic music. The most immersive festival on this list, Virada Cultural is the day when music, film, theatre, visual arts, multi-media installations and more take over São Paulo for a full 24 hours of unbridled artistic expression. Inspired by global Nuit Blanche arts festival series, Virada Cultural has been a such a success that smaller editions are now spreading throughout Brazil. 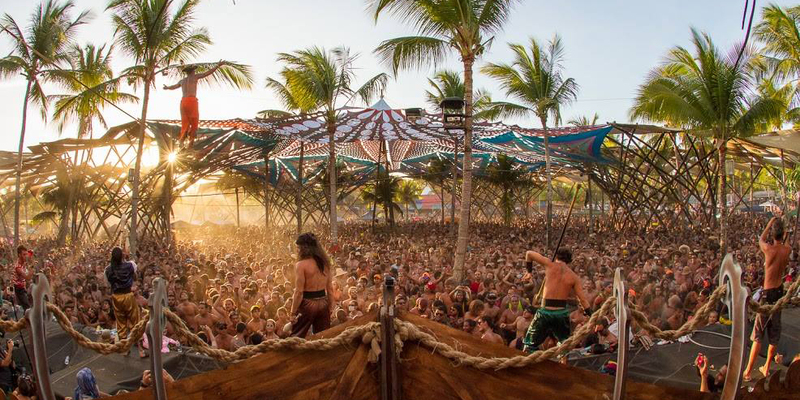 Taking place in one of the true paradises on the planet, Pratigi Beach, Universo Paralello creates an alternative world where harmony and community reign supreme. Soundtracked by trance and techno DJs from national and international scenes, the festival's euphoric atmosphere makes a pretty compelling point, begging the question why can't life always be like this. Rio Carnival, you heard of it? No Brazilian festivals list worth anything would be complete without it. 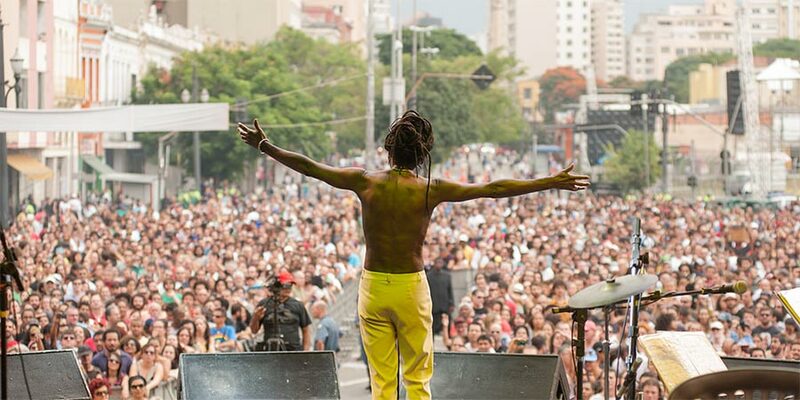 Rio Music Carnival takes place right in the middle of the biggest party in the world, focussing all that fervent party energy on something that really matters: music. Nothing short of the best would be appropriate, so the festival's lineup consists of the biggest electronic music DJs in the world.